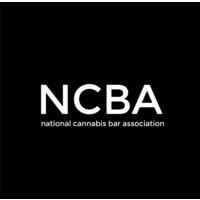 First, we would like to express our most sincere gratitude to the Minority Cannabis Business Association for including us in this very important policy summit. While in Oakland, Cannabis Lawyer Dana had the opportunity to meet with some of the legal industry’s most successful advocates. The goal of the summit was to brain storm and refine a model social equity ordinance to present to local governments as well as a model state bill to be used nationwide. We examined these policies from 18 unique perspectives, from priority review and approval to banking to advertising to community benefits and involvement. It was amazing to hear from so many unique, well-reasoned perspectives. Here is our take away: SB 1294 was just signed at the end of last month, providing the BCC with a one time disbursement of ten million dollars to support localities that adopt social equity, equality or compassionate programs. Currently, there are four cities that qualify for this funding: Sacramento, San Francisco, Oakland and Los Angeles. If cities and counties want to take a bite at this $10 million apple, they are going to need to adopt a social equity program as part of their cannabis regulatory framework. For more info on SB 1294, see our October 4, 2018 newsletter. There is no denying that persons of color were hit hardest by the War on Drugs, and they continue to be arrested at disproportionate rates. Social equity provides a pathway and support for restorative social justice. Social equity also provides substantial benefits for entrepreneurs by providing access to licensing that might otherwise be unavailable. Talk was had about priority not only in the process of obtaining a cannabis authorization (license or permit on the business side), but also for priority processing with the planning department. We believe social equity programs can serve as a valuable tool in lobbying local officials who would not otherwise consider adopting a commercial cannabis ordinance in their cities. Indeed, there is nothing like $10,000,000 of free money up for grabs to motivate local politicians; luckily, they are prohibited from using more than 10% of the grant funds for administrative program costs. If you would like to review the model state bill (initially drafted in 2016) clickhere; the local ordinance is under review and revision. If you would like to discuss giving a run at your local government to encourage them to adopt socially responsible commercial cannabis ordinances, please contact us today.